For this week’s facebook cover photo, we are travelling all the way to south of France, in the French Riviera to one of the sunniest cities of Europe, Nice. 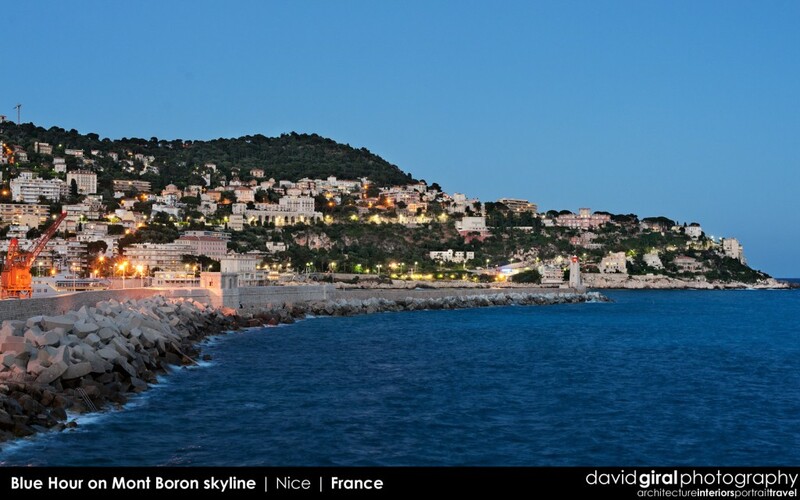 Nice is the fifth largest city of France and became part of the country definitively only in 1860. It was known as Nicaea oppidum as early as the first century and is believed to be one of the earliest settlements of Europe. This specific picture was taken from quai Rauba-Capeu, at the blue hour 30min after sunset using a D700 with a Nikkor 50mm F/1.4, with an exposure of 1 seconds at F/8. On this picture we can see the Mount Boron which constitutes one of the biggest parks of the city and which also constitutes a neighborhood of the city. We also can see the lighthouse of the port of Nice on the picture.